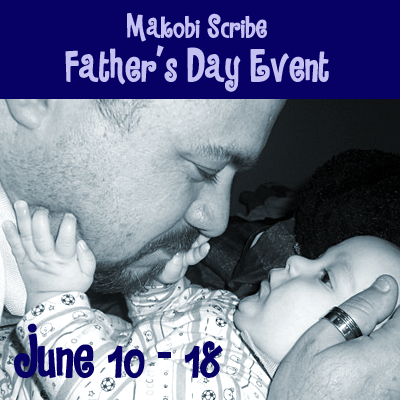 Welcome to the 2012 Father’s Day Giveaway Event, hosted by Makobi Scribe! This is a giveaway hop! What that means is you first enter the giveaway here (scroll down to the giveaway tools entry form) and then click on the links below the entry form to hop to the other blogs to enter to win their great prizes! You have the chance to win over a hundred other prizes! 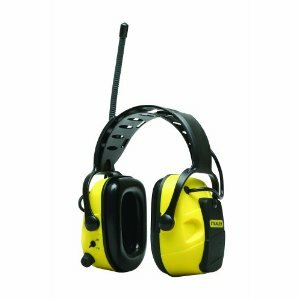 Enter to win dad some awesome Stanley AM/FM Radio Headphones , valued at $77.00. My dad loves wearing his while in the tractor out in the field, lawnmower, or just outside working. They are really great! Dates of event: June 10 12:01 AM EST to June 18 at 11:59 PM EST. Our giveaway is open to US/CAN residents only, 18 years and older. Other giveaways listed below may be open worldwide! Please comment and let us know how you like the giveaway tools entry form. We really like it. Good luck! Don’t forget to hop to the other giveaways! « Win a $25 Gift Certificate for Sports & Other Events in Father’s Day Giveaway Hop! No big plans for anything. Maybe go fishing this summer. Dad does what he does best – grill!! We have a family BBQ. our 2 children & their families come over for a big bbq for their dad…lots of fun! A few friends and their families all get together and go on a big hike and then bbq. This year, he is playing golf with our boys and I will be prepared the side dishes for the meat he grills of the bbq. We will be taking my husband out to eat. having a family get together for father’s day. On Father’s Day, we are taking my Husband to his favorite restaurant for dinner. We take our husband/Dad out to dinner. We go to my dads and spend the day in the pool and have a cookout. We usually have a BBQ. We celebrate with a barbecue at a park with laser tag and go karts. My husband works so hard that normally we cook him dinner and let him relax for a change! We are having a BBQ with my parents and the in-laws! The girls do the cooking, the guys go golfing, and we all have fun when they get back. I usually grill up a nice steak dinner for my husband on Father’s Day. It’s usually a pretty low key day with just us and our two teenage kids. We celebrate with a special dinner! Would LOVE these for my dad. Try to spend as much time with him as I can on Fathers Day because I don’t see him much during the year. People don’t celebrate father’s day? We don’t have much of a celebration but we acknowledge it and exchange cards. We usually go out to dinner but this year we’re going to Six Flags. We plan to do some yard work and maybe go for a drive to the coast. We cookout, swim and play with the kids! It varies from year to year but the one constant is that he always gets to wake up to a yummy breakfast! Celebrating this day with family. Would go to Atlantic city this summer. It’s usually a stand-off. If my husband did something nice for me on Mother’s Day, then I reciprocate. But if he only celebrated HIS mom, then I only celebrate MY dad. This year, he did okay. We went to lunch today and I took him to buy new summer clothes. We have a family get together. This year it is at my daughter’s house. i usually make breakfast for my dad this year we went to camp and hadda family bbq! we plan on going to the beach this summer.